1. I want to be my own boss. I would love to own my own store, I would love to own one of those cute little stores with perfect gifts, personalizing, jewelry, paintings, stationary, and all that fabulous stuff! 2. I want to have one boy, one girl, and possibly another boy. 3. I want to travel more, I have to accept that once we start a family it will be a while before we do all the traveling we want.... but hopefully we will be like my parents one day and travel all the time! 4. 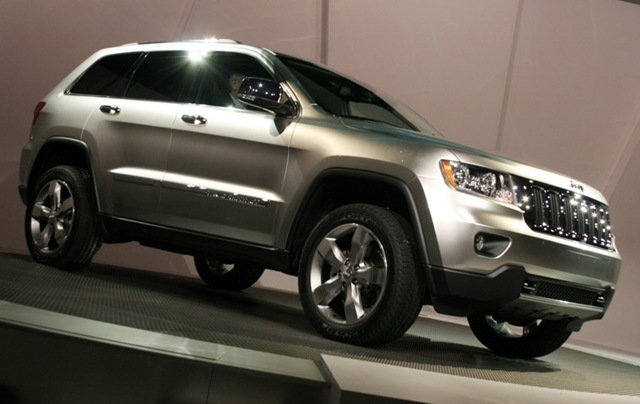 I want a new car....I love my car, but The Hubs and I looked at the new Jeep Grand Cherokees....and I am in love! 5. I want to have the drive to work out more. I want to be one of those people that wakes up and at 6am, jumps out of bed into my tennis shoes and runs 2 miles. Everyday. And if any of you are on the East Coast, please be safe, I am saying some prayers for everyone! Great list!! I would love to have a store on our main street here in Ft Lauderdale; I dream about it all the time! I also need that drive to work out! Have a great weekend!